Mary Kay Place excels in the leading role of Kent Jones' fiction feature debut. Kent Jones, an American documentary filmmaker and director of the New York Film Festival, who is also behind the bio-doc Hitchcock/Truffaut and the documentary A Letter to Elia, which he co-directed with Martin Scorcese, makes a move to fiction filmmaking. Diane, executive produced by Scorsese, centers on the eponymous protagonist as she mulls over family issues in a well-acted domestic drama. Divorced Diane lives alone in Western Massachusetts and oscillates between her hospital-ridden cousin, her drug-addicted son, helping in a shelter, and chatting with friends. Jones reconstructs a micro-universe of a community and follows the protagonist as she puts everybody else before herself. Strong maternal instinct kick in regarding her son, who is caught in an addiction spiral, while she has enough empathy for folks visiting the shelter, whom she treats with dignity. Not forcing her son to return to hospital, just suggesting his return and tending to Donna, with whom she shares a rocky past and is now dying of cancer, Jones does not externalize the painkeeps it under the lid. The backing off from melodrama, such as Diane offers, makes the protagonist a character worth following, especially with regards to contemplating life and the passage of time, motifs that the director makes painfully present. However, he does not over-indulge into bleakness. Despite aging and mortality playing a crucial role within the story and setting up the tone, the chilly winter doubling-down the sentiment, scenes set in the circle of family and friends soften the existentialistic despair. Throughout the ups-and-downs, Diane keeps her composure, avoiding being overly emotional while sentimentality remains completely barred during the whole running time. Plenty of moments offer Jones the opportunity to take the easier, tear-jerking route. He does not, however, lose the focus or the initially set direction of the larger picture, the big question usually suppressed until the autumn of one's life. Diane, though, cannot escape it as she sees her family and friends, first joking about deep roots then seeing passing. The ever-present and looming death does not evoke anything macabre; the director treats the delicate situation with adequate dignity to not pass as emotional blackmailing but rather as a matter of life, in which he succeeds magnificently. Mike Selemon applies similar editing style as seen in Todd Solondz's wonderful dark comedy Dark Horse, the unreliable and undecipherable chronology. In Solondz's case, such a tactic blurs the line between reality and fantasy, whereas in Diane, the editing style sharpens the prominence of the lead motifs of aging and mortality as past and present mingle, yielding fleeting moments. 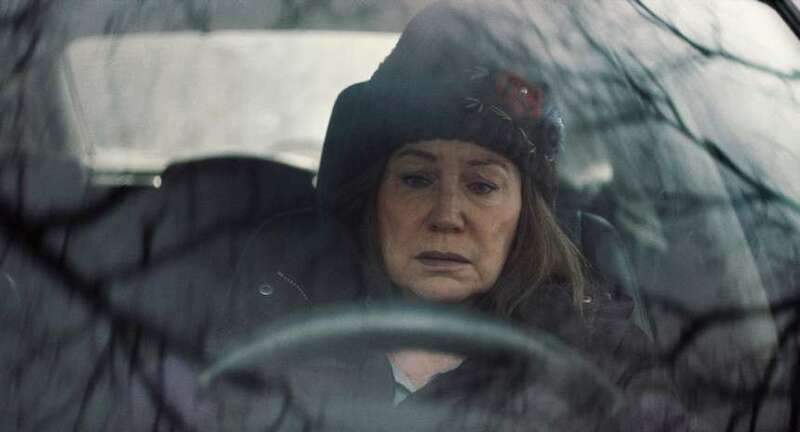 It makes Diane touching and melancholic, yet nowhere near soppy, humanistic drama occasionally uplifted by a light-hearted humor, underscored by the performance of Mary Kay Place in the leading role.